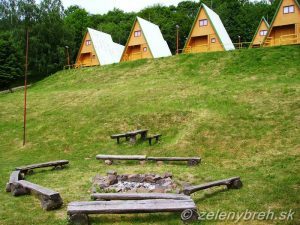 The recreation facility is located in a scenic valley of Slanske hills, close to the small mountain lake Sigord at a distance of 12 km from Presov (the third biggest town in Slovakia), which has rich and famous 750-years old history. This is a region, where many years ago world-known gemstones were produced. Today, opal mines are opened to the visitors and tourists. In the neighbourhood you can find green hills, springs of pure mineral water and amazing tourist paths, that create great conditions for unforgetable moments during your stay. 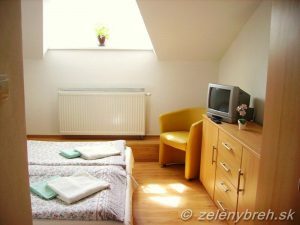 The hotel Zeleny Breh offers to its clients accomodation in two buildings (2, 3, 4 – rooms, each room has a WC, shower and hot water). 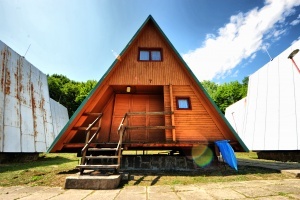 Also during the summer season we offer bungalows situated close to the main apartment building. These are two-floored cabins for 5 to 6 visitors with the shower, WC and hot water. SYou can board in the restaurant situated in the main apartment building. The hotel not only offers delicious slovak specialities, but also great meals of international cuisine. We have been working with foreign visitors (especially from Russia, Lithuania, Czech republic and Poland) for many years and we are sure you should be satisfied with a quality of offered services. 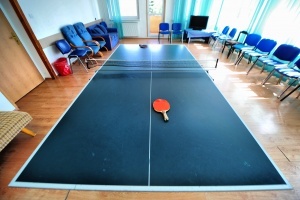 Moreover, our guests get access practically to all entertainment possibilities available – ping-pong, soccer, valleyball, TV, karaoke, Hi-Fi. 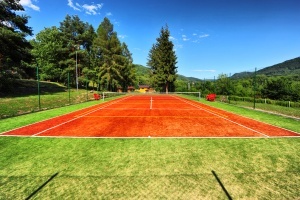 In addition to standard accommodation services for individuals organize social events, family celebrations (birthday parties, weddings), corporate events, company presentations, conferences, seminars, children’s camps, camps and school trips. In order to increase our capacity capabilities and provide our visitors an even better accommodation services, we completed the decorative work on the newly built third floor. There are loft apartments for 2 or more people.